For sub-genre we looked at seven differnt film types,we then asked a focus group which they would prefere as you can see they liked the idea of the supernatural.This is popular because the unknown scares people the most things like ghost and unatural creature e.g. clowns and toys. 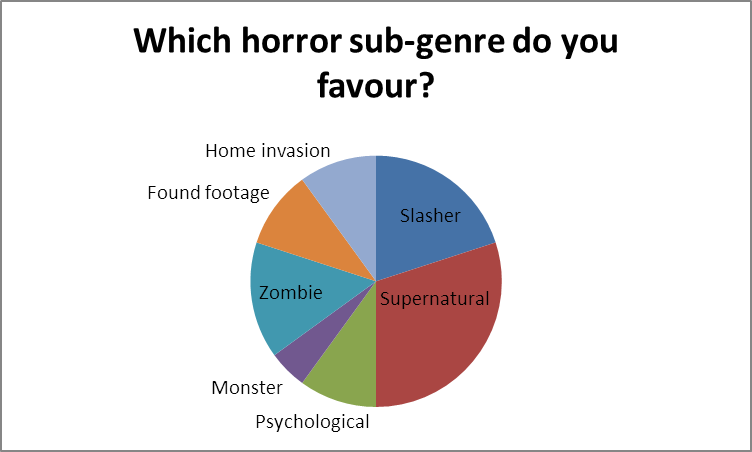 there are many ideas that we can do concerning the supernatural and it does not need to be the typical ghost story. we asked the same focus group about the age of which a horror movie has to be scary they said that the 12 would not be that scary but the 15 or the 18 would be scary this is good because as we had to do a 15 as it tied in with our brief of the film. 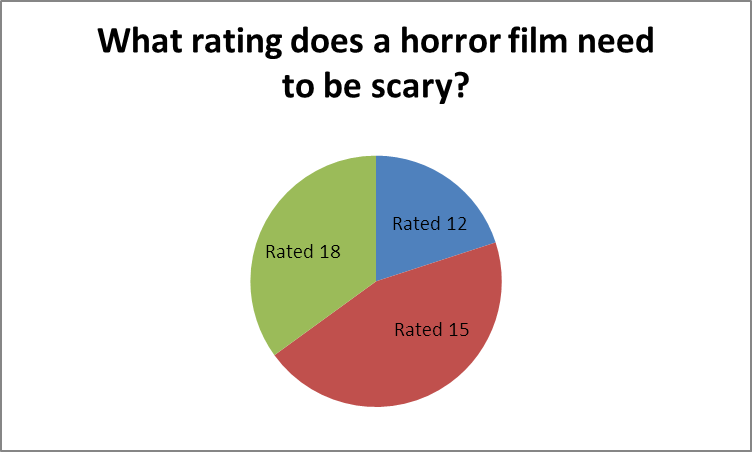 the 15 is possibly the best rating as we dont need lots of violence to make it scary for the veiwer. 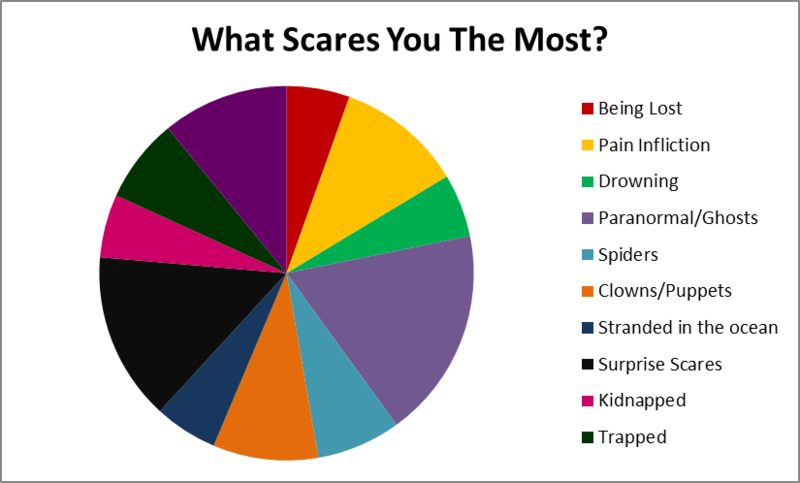 we also asked our focus group what would scare them the most out of the list above, we recorded their answers and put them into this pie chart as you can see that the supernatural is the most liked just beating jump scares.